Looking for a laser cat toy that keeps your cats interested for ages? I've found one which I think is really great and which doesn't take up any of my own precious time. I thought I would let my Our Happy cat community know about it too. I know what it's like having bored cats around and trying to find good toys for cats to entertain them. My two cats Byron and Shelley are let's say typical boy cats. They love to hunt and chase things but they also like to be warm and snug too. This means that especially during the colder months they spend most of their time inside getting bored and basically bugging me all day for games. Now don't get me wrong I love playing with these two great cats but I also work from home and so although I would love to spend my days throwing balls etc, I'm afraid my bank manager would not be so friendly towards the idea. I did purchase one of those laser sticks which you have to use with your cat; they loved it as it really played to their instinct of chasing and hiding etc. However as I say it took up a lot of my time. 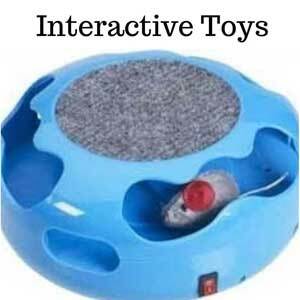 So I looked around for something similar which would keep my two cats happy for hours and also provide them with both excitement and some exercise. This is the laser cat toy . 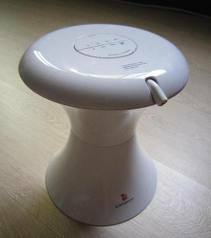 Place it in the middle of the floor, choose one of the speed settings and watch yoy cat have a lots of fun. I discovered this great laser cat toy which sits on the floor and randomly moves around flashing a little red laser dot. At first the cats were more interested in the machine itself but once they got used to it, it was the little red darting around laser dot which soon got them running around and pouncing. I must admit it is also great fun to watch my two cats trying to work out where this little dot comes from, where it goes and just why they never seem to catch it. I think it is one of the best cat toys I have ever bought for them. Why Do Cats Love A Laser Cat Toy? I found some videos online which show how other cats (and even some dogs) play with it like my two do. Enjoy. 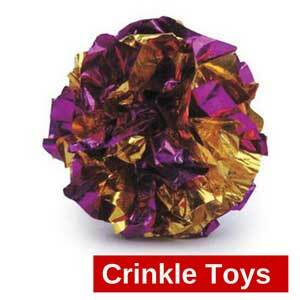 Hope you enjoyed the videos and perhaps It has given you an idea for a cat toy for your cats this winter. 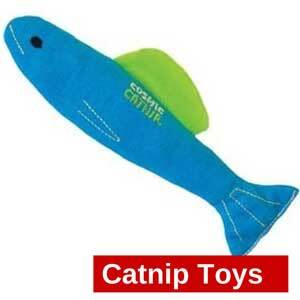 More Cat Toys You Might Be Interested In.